Looking for a low-impact cardio workout, or starting a fitness program? 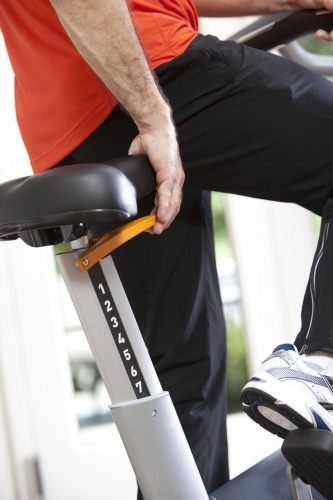 The UBK 815 Upright Bike is an excellent choice. It is the exact same commercial bike used in fitness centers worldwide, with a variety of programs, features and custom-designed handlebars to make your ride more comfortable. The Precor UBK 815 Commercial Series Upright Exercise Bike offers an ergonomic, comfortable cardio workout in a machine just like you'd find in the gym. Used in gyms around the world, this commercial cycle is built to last, standing up to the most challenging workouts and providing a wide range of cycling challenges. 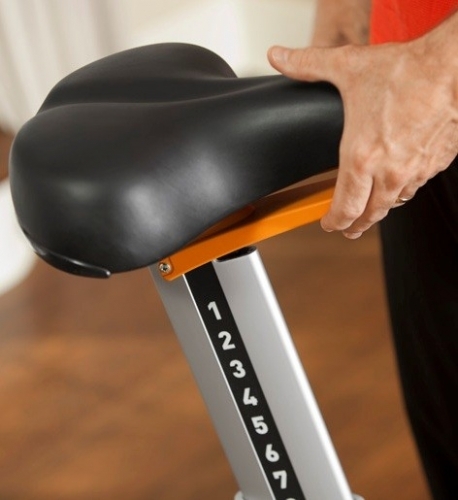 Along with ergonomic styling including an adjustable seat and handlebars, there are six pre-programmed workouts and 25 levels of resistance. 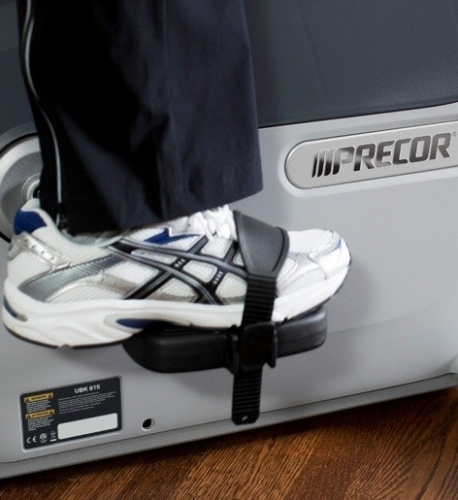 Precor has been providing serious fitness equipment for commercial and home use since 1980. Over the past 30+ years, the company has become a well-respected leader in hard-working cycling equipment. The Precor UBK 815 Exercise Bike offers low-impact cardio and lower-body toning through an ergonomically-designed frame that's built to last. 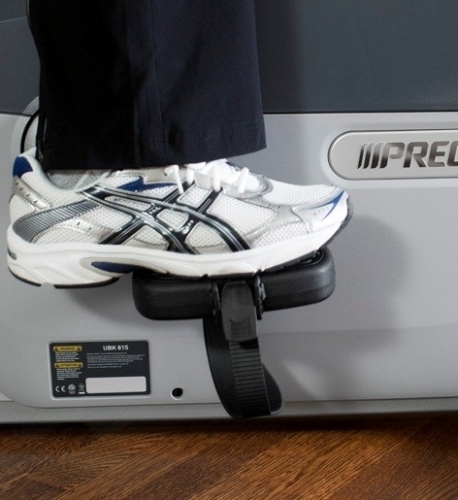 Users may select from six pre-programmed workouts and move between 25 levels of adjustable resistance. With options, adjustability, and ongoing tracking of fitness metrics such as calorie burn and heart rate, this cycle meets the needs of the serious home cyclist. With its commercial quality, the UBK 815 will stand the test of time, providing ever-challenging workouts for years to come. Call 1-800-875-9145 to speak with one of our fitness advisors with any questions you may have. 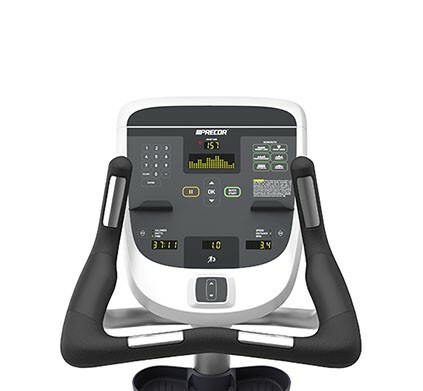 Go to FitnessZone.com today to order your Precor UBK 815 Upright Bike! Handlebar design offers three riding positions - upright, cruising, and road racing. The overall width of the handlebars places the user in better ergonomic position with the forearms more directly under the shoulders. In the road racing position, the ergonomic-shaped handlebars position the wrists in a natural, neutral position. KOPS Biomechanics (Knee Over Pedal Spindle) - to achieve proper pedaling biomechanics, the seat post and seat post offset from the crank is key to aide in efficient pedaling and reduced shear force on the knee. The seat post angle is 74 degrees with a 5 inch (13 cm) offset from the crank axle. This places the forward knee directly over the ball of the foot (or pedal spindle) when the pedals are in a horizontal position. Dual-sided pedals can be used without the pedal straps. The extra wide pedal comfortably accommodates feet of all sizes. Pedal axles and bearings are designed for smooth operation and exceptional durability. 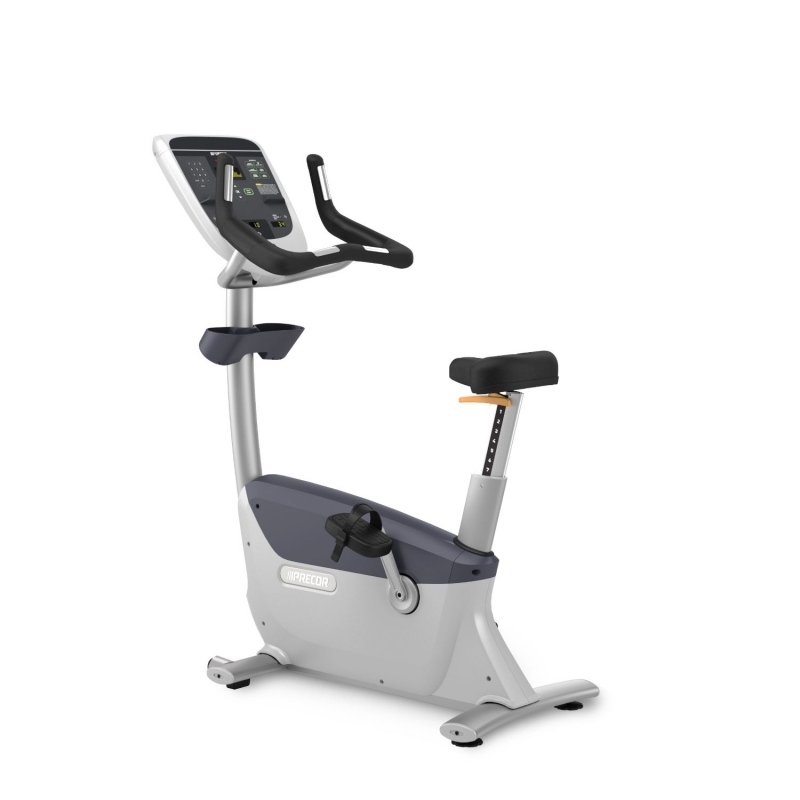 Order your Precor UBK 815 Upright Bike from FitnessZone.com today!